A large cast of characters stars in this contemporary story centered around two African American girls new to Los Angeles. 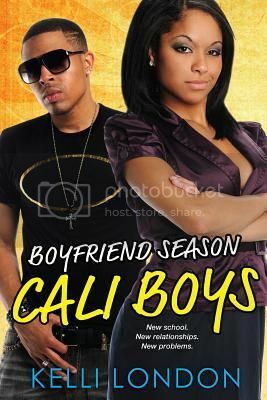 In alternating chapters, Jacobi and Kassidy struggle with boys, friendships, and family. Kassidy, a teen model from New York, is busy juggling multiple boys: New Yorker Brent, flirty biker Romero, chivalrous Carsen, and super-hot male model Diggs. Her new stepsister, Yummy, struggles with her weight and is heartbroken when Kassidy snaps up Romero for her male harem. In the meantime, Diggs's younger sister, Jacobi, is an academic achiever, successfully making money in the stock market and producing amateur short films. At 15, she is mortified to be the only girl she knows who hasn't developed a chest or had her period yet. Jacobi's family has worked hard to move away from their rough neighborhood, but she still misses her friend Katydid and her longtime crush, Shooby. Kassidy reaps what she sows when her friend Faith backstabs her over a modeling job. Jacobi discovers a shocking secret that Katydid has been hiding from her and learns that her new friend, Malone, likes her. Up-to-the-minute slang, lots of pop-culture references, and a lightning-fast plot will lure in reluctant readers. This is a welcome addition for most urban libraries. I was given a free copy of this book by the publisher. This review first appeared in School Library Journal.